Despite flogging the PS3 as a high definition system, Sony has long been content to ship the device with composite cables. As in, one the worst quality standard definition cables you can get. Well, looks like Sony is looking to make amends, as a reader passes on this new bundle that's just hitting stores. 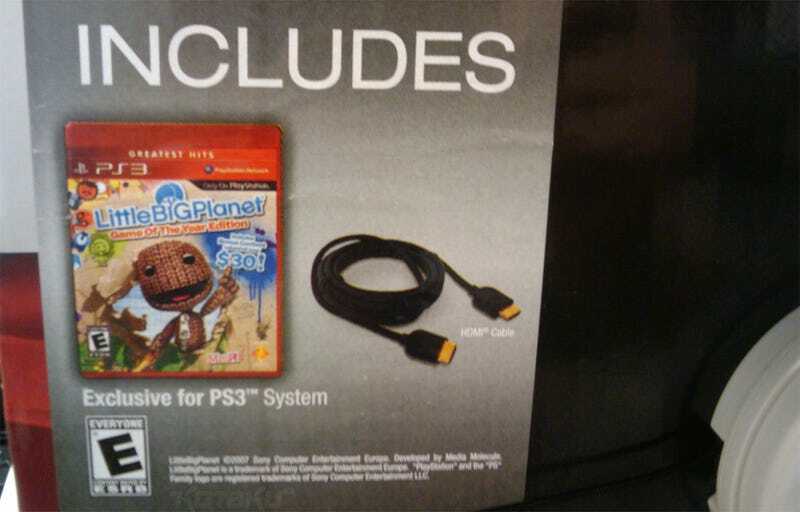 It's a new PS3 pack that includes not only a copy of LittleBigPlanet (the Game of the Year edition), but also a HDMI cable. Handily, it's a six-foot cable, too, not one of those one or two-feet ones that can barely reach your TV. This one was spotted at Fry's.